Available from Kappalyn Technology Solutions , Vivotek MD7560 2 megapixel vandal proof dome cameras have a fixed wide angle lens and an IP67 rated tamper and vandal proof housing. Vivotek MD7560 is compact and geared toward transportation applications such as buses, trains, and a range of other vehicles. These vandal proof dome cameras are capable of withstanding shock, vibration, humidity dust, and temperature fluctuations, ensuring reliable video during vehicle movement. These dome CCTV cameras also feature a temperature alarm trigger and tamper detection for unauthorised changes and are compliant with EN50155 for professional mobile surveillance. 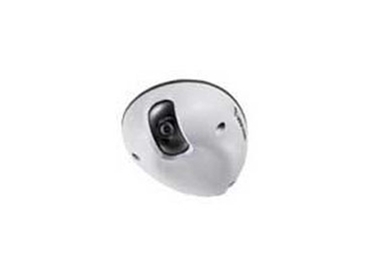 By using high definition 1600 x 1200 resolution, these dome CCTV surveillance cameras deliver extremely clear and detailed images, accurately identifying people or objects with ease. Video footage of in-vehicle passenger activities or vehicle accidents captured with this camera can therefore be used for post-event forensic evidence.